As described in A Primer on ACID Transactions, first generation NoSQL databases dropped ACID guarantees with the rationale that such guarantees are needed only by old school enterprises running monolithic, relational applications in a single private datacenter. And the premise was that modern distributed apps should instead focus on linear database scalability along with low latency, mostly-accurate, single-key-only operations on shared-nothing storage (e.g. those provided by the public clouds). App developers who blindly accept the above reasoning are not serving their organizations well. Enterprises in verticals such as retail, finance, SaaS and gaming can gain a competitive advantage today by launching highly engaging customer-facing apps with transactional integrity, low latency and linear scalability across multiple cloud regions, all simultaneously. And it is possible to do so using both NoSQL/non-relational and SQL/relational APIs. This post enables app developers to get a more accurate understanding of ACID transactions in distributed databases. It does so by pointing out 6 common signs of misunderstanding that have made their way into developers mindset after 10 years of the NoSQL era. ACID transactions in a distributed database are not always distributed. They can be classified into three types, only one of which is distributed. 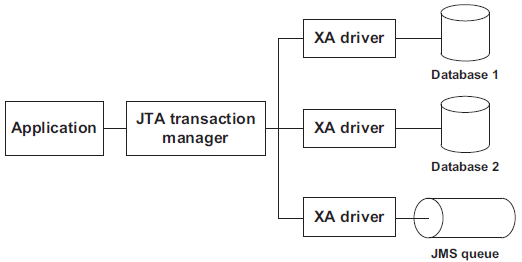 Transactions where all the operations impact only a single row (aka key) are called single row ACID transactions. A distributed database has to be at the very least strongly consistent in order to support such transactions. 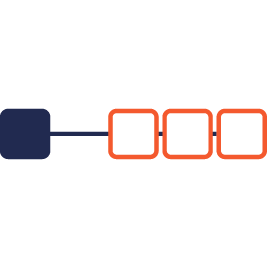 A single row is owned by a single shard which is present on a single node. This means for a Replication Factor (RF) 1 deployment, only a single node participates in the transaction. As the RF increases, more nodes come into the transaction and in return increase the fault-tolerance of the deployment. A marginal improvement over single row ACID is single shard ACID where all the rows are located in a single shard of a distributed database. Since a single shard is always located inside a single node, this type of transactions are also non-distributed. E.g. MongoDB’s latest 4.0 release supports single-shard transactions. In auto-sharded distributed DBs such as YugaByte DB and Google Cloud Spanner, shards are spread across multiple nodes. Cross-shard transactions in such databases are called distributed ACID transactions (or simply distributed transactions). Databases with support for this type of transaction also support single row and single shard transactions. However, the opposite is not true. E.g. MongoDB does not support distributed transactions in its multi-shard deployments (called Sharded Clusters). For experienced developers, the term “distributed transaction” usually evokes the painful memories of XA transactions. 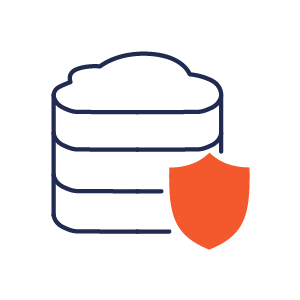 XA stands for eXtended Architecture and is an X/Open group standard for executing a global transaction in an atomic manner across multiple independent data stores such as databases and persistent queues. A two-phase commit (2PC) protocol is used for the execution. All SQL databases, JMS providers as well as a few transaction managers such as Tuxedo support the standard. Rarely Needed: Each database acting as a XA resource was a monolithic ACID compliant database which usually stored most of a given application’s data. The need for ACID across such independent databases usually involved integrating disparate applications altogether. Developers rightly concluded that its simpler to solve this problem at the app layer using web services. High Latency & Low Throughput: Implementation of the XA 2PC protocol relied on full row-level locks. Result was that locks were held for a long time than necessary, leading to poor performance in terms of high latency and low throughput. Inconsistent & Buggy Implementations: Every database and app server vendor implemented the XA specification as it saw fit and without thorough testing of failure conditions. Its not surprising that there were inconsistencies and bugs across such implementations and users could not make XA transactions work as seamlessly as expected. The good news is that the issues outlined above are not applicable in today’s world. Transactional data can no longer fit in a monolithic database server resulting in a higher-than-ever-before need for transactions on distributed databases. Pessimistic row-level locks have been replaced with optimistic, column-level locks that use automatic conflict detection to ensure low latency and high throughput. And finally, the same protocol runs on every node of the database cluster removing the issue of inconsistent implementations on top of an abstract standard. 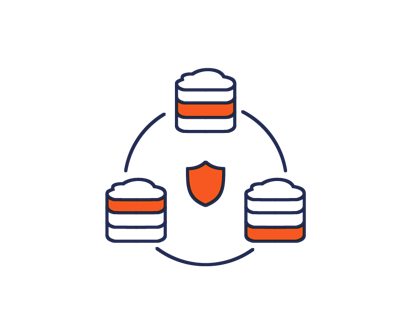 All monolithic SQL databases (including Amazon Aurora) and even a few proprietary NoSQL services (such as Amazon DynamoDB and Azure Cosmos DB) support multi-master replication especially in the context of a multi-region deployment. The replication can be configured to be active/passive , where only one node is writable and the other nodes are a hot standby. Another configuration is active/active, where all master nodes are writable. A common misunderstanding with active/active multi-master is that the entire cluster is now globally consistent and distributed ACID compliant. In a multi-master system, each master node contains the entire dataset and hence handles writes for all the data without any need for distributed transactions. Changes on one master are replicated to other masters asynchronously for read scaling and disaster recovery with write scaling remaining an unsolved problem. In active/active, the benefit of write scaling is negated by conflict-ridden concurrent writes on same rows at different masters. Such conflicts are resolved without explicit knowledge of the app using non-deterministic heuristics such as Last-Write-Wins (LWW) and Conflict-Free Replicated Data Types (CRDT). Net result is customer data loss and poor engineering productivity when compared to fully ACID-compliant distributed databases. 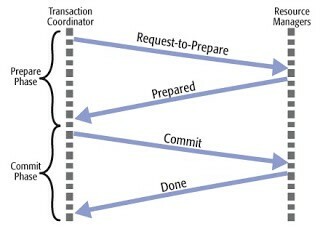 Developers sometimes attempt to implement ACID transactions in their application logic. The most basic option is single-operation, single-row ACID on an eventually consistent database as documented by AWS DynamoDB. A more advanced option is fully distributed ACID on a strongly consistent database such as MongoDB. This section explains why neither of these is a good idea given the effort needed to get this right. A Primer to ACID Transactions details what’s needed for ACID transactions when only one database shard is involved. On the other hand, the implementation for distributed transactions is a lot more complex given the need to manage updates across multiple shards located on multiple nodes. A transaction manager is usually needed to act as the coordinator. It can be either a system independent of the database nodes or can be built directly into the database nodes. Let’s look at how it works to achieve the ACID guarantees. The transaction manager needs a mechanism to track the start, progress and end of every transaction along with the ability to make provisional updates across multiple nodes in some temporary space. Conflict detection, rollbacks, commits and space cleanups are also needed. Using Two-phase commit (2PC) protocol or one of its variations is the most common way to achieve atomicity. The database’s replication architecture has to be strongly consistent using a formally proven distributed consensus protocol such as Paxos or Raft. The transaction manager will rely on the correctness of a single operation on a single row to enforce the broader ACID-level consistency of multiple operations over multiple rows. BASE systems such as Apache Cassandra that use quorum reads and quorum writes as tunable consistency controls on top of eventually consistent replication cannot provide true strong consistency. Given the absence of rollbacks after failures, dirty reads from failed writes and deleted data resurfacing are common in such systems. The transaction manager cannot simply stamp all the operations inside a single transaction with its own time — other instances of the transaction manager on other nodes can operate on the same data but won’t have the same view of the time. Getting even a partial ordering of the operations in a transaction becomes a challenge. Protocols such as Network Time Protocol (NTP) allow the times at each node to be synchronized over the public internet with a common source of truth but there’s still no guarantee that all nodes will see the exact same time since internet network latency is unpredictable. In reality, nodes exhibit clock skew/drift even with NTP turned on. So a more sophisticated time tracking mechanism is needed. Committed transactions should be stored in a disk-based persistent device where their results are preserved across system restarts and node failures. Since disks themselves can fail, using replication to store copies of the same data on other nodes is a must-have. So, can distributed databases support ACID transactions without the performance issues of the past? The answer is Yes. We are now in the renaissance era of modern distributed databases that come with built-in support for all the three types of ACID. Examples in the distributed SQL category are Google Cloud Spanner, YugaByte DB, CockroachDB and TiDB and in the NoSQL category are FoundationDB and FaunaDB. For example, Yes We Can! Distributed ACID Transactions with High Performance details the various optimizations YugaByte DB uses to deliver low latency and high throughput transactions. The table below summarizes the ACID spectrum in today’s distributed databases. As we can see, the original NoSQL design paradigm of forsaking strong consistency and ACID is increasingly becoming irrelevant. At the same time, new research from Google (such as the Spanner and Percolator papers) and academia (such as Yale’s Calvin paper) has served as inspiration for a new generation of distributed ACID compliant databases. These databases are also aiming to solve the performance problems observed in previous implementations such as XA. We review some of the issues involved in our post Implementing Distributed Transactions the Google Way: Percolator vs. Spanner.